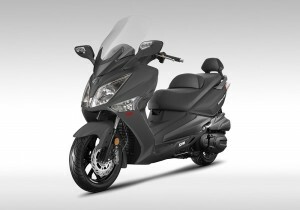 CRUiSYM integrates ultimate urban capability with stunning sporty aesthetics which combined with serious touring aspirations creates a multifunctional crossover maxi scooter that is a notified game changer. Uprated suspension and wheels enhance handling, stability & safety when riding on any road surface. Full ABS system provides unrivalled stopping power in its class. Adjustable windscreen, glove box with 12V charger & USB socket, 40-42 degree footboard improving rider comfort during a long trip , and storage space for two full-face helmets, all these features are designed with the customer in mind to maximise comfort without lessening the ride experience.